Editor’s Note – Soil depletion is a major global problem, but you can do your part to help. Home composting programs could provide incentives for families to keep food waste out of landfills. This article was originally posted on The Solutions Journal and written by Randall Coleman. We have all heard the expression “cheaper than dirt.” But many experts disagree. Soil is a vital resource that the UN’s Food and Agriculture Organization (FAO) estimates contributes about USD $16.5 trillion in ecosystem services annually.1 In fact, FAO named 2015 the International Year of the Soils in order to highlight the importance of soils in our food system. Unfortunately, arable soil is depleting very rapidly due to erosion, by around 24 billion tons each year.2 This rate of erosion is 10 to 100 times greater than the rate at which soil is being replenished.3 The major contributing factors are urban development, desertification, and industrial agriculture. The use of chemicals, intensive machinery, and monoculture are increasing productivity in the short term but leading to fallow soil and desertification over the long term. The most widely discussed solutions around these issues include polyculture, reforestation, and climate-smart agricultural practices. But, what if the reason we do not see soil being replenished is because we are not properly valuing it? I believe soil can provide a way to increase food access in urban food deserts, increase healthy diets among low-income communities, and shield communities from increasingly volatile global markets. To do this, we can look to the world of economics for a solution. Some practitioners, artists, and scholars are exploring the idea of soil as a currency. Economists, agronomists, and ecologists have already agreed and estimated the economic benefits we receive from soil ecosystem services. Because we can create certain types of topsoil and because we know how valuable it is, we can create an economic system that is based on the value of soil. Imagine a world where households provide their organic waste to urban gardeners and farmers in exchange for currency or points. After a prescribed amount of time, that household will collect enough points to “buy” produce from that farmer. Both parties benefit in this arrangement. The farmer needs inputs to create valuable compost for his/her operations, and the household has free access to healthy local produce. In addition, nearby restaurants and cafes can get involved, providing input materials for farmers, buying ingredients for their menus, and selling salads and sandwiches to participating households, all with an alternative currency based on soil. The points accrued could be based not only on the quantity of waste, but also on the type. For instance, to create quality compost, you need both materials high in nitrogen (greens) and materials high in carbon (browns). The volumes required for each of these differ as well, contributing to the waste-food calculation. To be clear, the waste in question is primarily actual waste that cannot or will not be consumed as food again. Examples include egg shells, coffee grounds, used paper towels, and kitchen scraps. This system does not incentivize throwing out edible food. Participants will be trained on what constitutes “waste” and would be encouraged not to throw out food simply to acquire soil currency. Furthermore, there are components to this system that will help to check this moral hazard. Soil currency can only buy more fresh produce, so the participant does not gain anything by throwing out edible food. Different growing seasons for different crops will limit participants’ ability to game the system. Lastly, a part of this system could be to provide participants with waste bins designed for the right amount of browns and greens, further encouraging the right kind of participation. There is a lot of research on how much food is wasted in both the industrialized and developing world, and where in the supply chain this happens, before or after the consumer.4 Households and industry are wasting perfectly good food at the same time that millions of people are experiencing hunger and malnutrition. Food waste is becoming more and more accepted as a serious issue to be addressed and soil currency should not undermine this progress. The goal of soil currency is to incentivize people to compost who ordinarily would not, and, to eat more fresh fruits and vegetables. This might sound like pie in the sky, and in many ways it is still just an idea at this point. There are, however, groups who are trying to make this a reality, like Hello Compost in the Bronx, NYC. Hello Compost is a “home composting service” that collects waste from residents in specially designed pouches and delivers that waste to a nearby urban farm called Project EATS.5,6 Participating residents receive “credits” for the waste they produce via a mobile app, where they can track their progress and redeem their credits for food grown at a Project EATS site. The urban farm can use the compost it has made or sell it to make income. The Hello Compost operation is still in the early stages and has yet to include nearby businesses that serve food, as described earlier. However, after one year in operation, this project has contributed significantly to making soil currency a reality for working class residents of the Bronx. Soil currency provides answers to several problems. First, soil currency raises awareness of the importance of soil by placing a monetized value on it. This economic incentive will not only produce more soil, but should increase the amount of fresh produce a household consumes, because the resulting kitchen scraps now have value as the inputs to make compost. If households are buying more produce because it equals “free food,” we might be able to assume these households are eating healthier, whole fruits and vegetables. This is an area that needs further study, but if true, even in some cases, could be a groundbreaking solution that would encourage healthy eating habits. However, the issue of moral hazard still needs to be addressed in such a study and through the implementation of the project. Second, this economic system will work best in low-income and marginalized communities, where the need is greatest. Often, people in low-income communities do not have access to healthy food either because it is too far away (in communities located in so-called “food deserts”) or it is too expensive. Soil currency could help subsidize access to healthy food, without spending any legal tender to get it. Third, soil currency will decrease the potency of greenhouse gases (GHG), and perhaps, the amount that is emitted into the atmosphere. 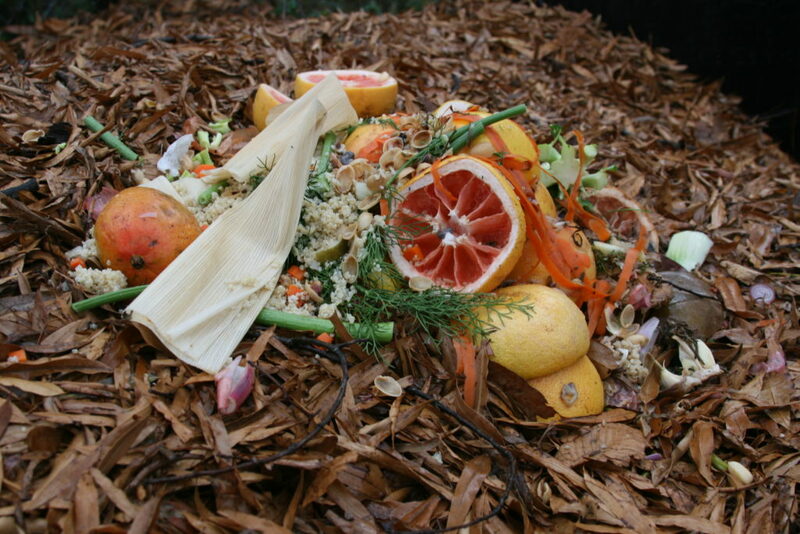 When organic waste is sent to a landfill, it decomposes anaerobically (without oxygen), which produces methane. If that same waste is put toward a compost pile that is being turned, the waste decomposes aerobically (with oxygen) and therefore produces carbon dioxide, a GHG 21 times less potent than methane. Landfills and methane are significant contributors to emissions and climate change in the United States.7 If enough soil is produced, we may see an offset of the CO2 created because the soil (with the help of plants) will sequester carbon from the atmosphere. Lastly, it directly addresses the issue of declining arable soil by incentivizing ordinary citizens to make more of it, albeit in much smaller quantities than is needed. Although raising awareness is a central objective of soil currency, it does so in the practical application of creating compost. It should be noted that compost is but one of many types of soil, most of which take millennia to form, so this concept will not replenish all soil types. 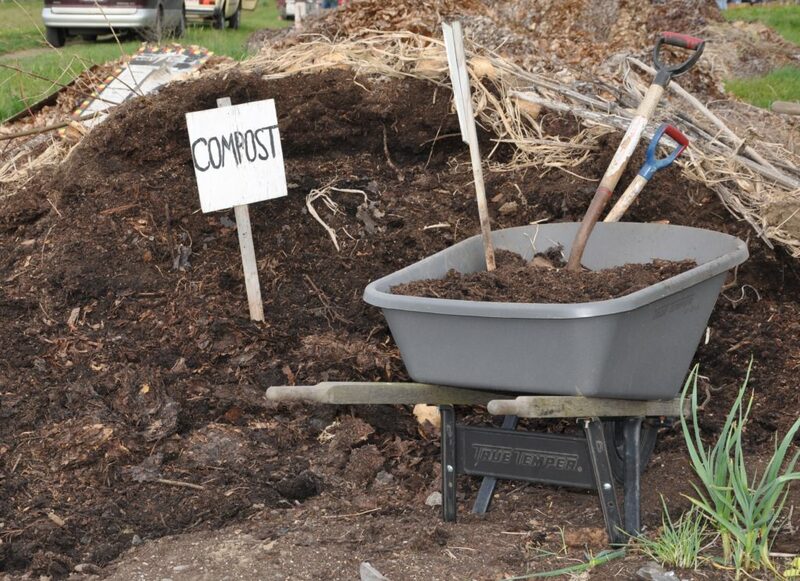 However, finished compost is a very good one for growing food and is considered one of the best ways to replenish the Earth with sustainable agriculture. Furthermore, when using space-efficient vertical gardens and composters like those designed and built by the non-profit Can YA Love,8 one maximizes the limited amount of space for food and compost production as well. This is critical in an urban setting where there is not much space for composting or agriculture. The example of Hello Compost shows that soil currency can have an impact. But, some critical questions need to be answered in order to scale this up and across different communities. Mainly, what is the correct monetary value to assign soil? This is difficult to answer from a technical perspective, as well as a practical one. Soil provides many services for our planet, and is, therefore, hard to valuate. The main service soil provides in a waste-to-food system, such as this one, is acting as the medium to grow food. Therefore, to place a monetary value on that soil, you would need to know the cost of various crops in your area, the amount of compost needed to grow said crops, and the amount of waste needed for the correct amount of compost. Once this exchange rate is calculated for a particular area, a farmer can then plan how much he/she would need to grow for the participating households throughout the season, as well as how much inputs for compost he/she would receive. However, the question remains: will the value of soil be enough for people to change their behavior? This key question has not been answered because soil currency has not existed nor been implemented (until very recently). Perhaps the price of a particular crop is not enough to persuade people to make compost out of their waste? However, adding the value of carbon storage, water retention, and of other ecosystem services soil provides, could push the value high enough to make this idea worthwhile. If there is adequate demand for the compost produced, could it be sold in other markets, thus adding more value and more incentive? Other studies have already shown that improvements in soil health (increased humus content) directly correlate to increased economic value for farmers.9 This information is being used to persuade farmers to go organic. This same beneficial relationship can be used to persuade households and urban gardeners to compost. If we can place an accurate and high enough value on soil, it may change people’s behavior to eat more healthy foods, create quality topsoil, increase community resilience, and mitigate food insecurity. Soil currency will not be a panacea, but it could be another tool in our arsenal to help us plan for a more food secure future. Food and Agricultural Organization of the United Nations (FAO). The State of the World’s Land and Water Resources for Food and Agriculture: Managing Systems at Risk [online] (2011). http://www.fao.org/docrep/017/i1688e/i1688e.pdf. United Nations Convention to Combat Desertification (UNCCD). Land Degradation Neutrality: Resilience at Local, National and Regional Level [online]. http://www.unccd.int/Lists/SiteDocumentLibrary/Publications/V2_201309-UN…. Grantham Centre for Sustainable Futures. A Sustainable Model for Intensive Agriculture [online] (2015).http://grantham.sheffield.ac.uk/wp-content/uploads/2015/12/A4-sustainabl…. Food and Agricultural Organization of the United Nations (FAO). Global Food Losses and Food Waste [online] (2011).http://www.fao.org/docrep/014/mb060e/mb060e00.pdf. United States Environmental Protection Agency. EPA Overview of Greenhouse Gases Methane Emissions [online].http://www3.epa.gov/climatechange/ghgemissions/gases/ch4.html. Can YA Love [online]. www.canyalove.org. Sait, G. Humus Saves the World. Nutrition Matters [online] (April 2013). http://blog.nutri-tech.com.au/humus-saves- the-world/.